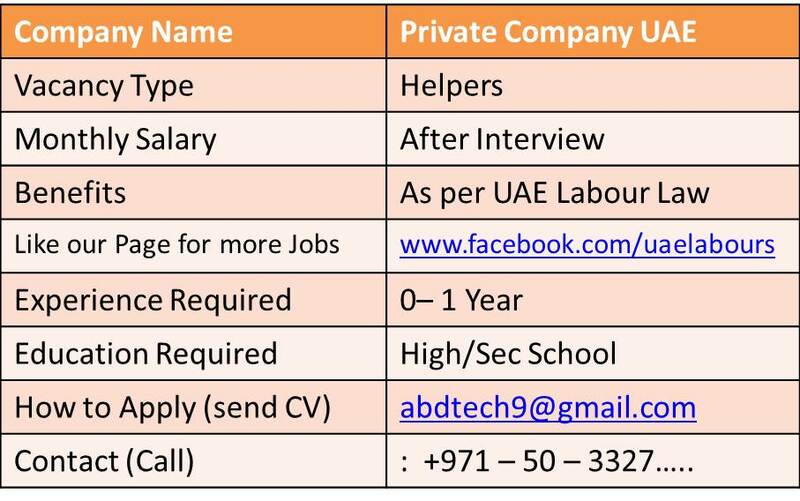 Helpers Jobs are the Highest demanded jobs in UAE. Electrician Plumber Helpers Staff Needed on urgent basis. Candidates should be active with smart personality. Experienced Candidates will be preferred. Job Location: Company is located in Ajman, UAE. If you have the skills and experience which is required for Helpers, please forward your resume to below Email Address, or through provided Contact Number Shortlisted Candidates will receive confirmation email.